For long, people belonging to ST, SC, OBC and minority groups have attained the perks of government reservations. Most developmental schemes are designed for these people. But there are millions who require the same financial assistance for better education and livelihood, but don’t get any as they belong to general category. General category people have long demanded special reforms, under which financially weak general applicants can attain benefits. Thus, Gujarat government has launched eight new projects, which will offer financial aid to general category applicants only. 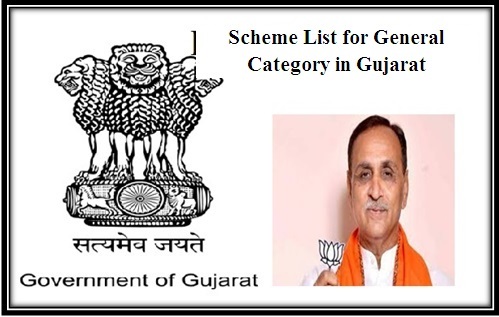 For development of unreserved categories – All these schemes have been designed and developed for the betterment of Gujarat residents that fall in general categories. Total number of beneficiaries – With the implementation of these projects, the Gujarat government will be able to offer financial assistance to as many as 1.5 crore people. These individuals do not come under any form of reservation. Number of castes included – It has been mentioned that state government will include 58 castes. These don’t fall under any reservation category. With the implementation of these projects, even unreserved applicants will attain financial benefits. Education Credit Scheme – State education board wants to develop the overall academic status in Gujarat. Many studious candidates from general category cannot pursue their education due to lack of money. There was not scheme to assist them. But now Gujarat government will offer educational loan to students who belong to general categories as well. If any applicant wants to take admission in private medical, engineering, nursing, architectural college or any self-financed technical course, he/she can attain a credit of Rs. 10 lakhs. Students will not have to worry about high repayment as interest will be charged at 4% only. But only those students, who have attained 60% in class 11 and final school leaving exam, will get this benefit. The overall family income of the families of these applicants must be within Rs. 3 lakhs. Foreign Studies Scheme – The state government will also offer financial assistance, in the form of a loan to meritorious candidates that want to study in other countries. Such applicants need to secure at least 60% in the 12th standard final examination. Each selected applicant will receive Rs. 15 lakhs from the state government. Interest on this credit will be calculated at 4%. Another eligibility is only those candidates will be able to apply whose yearly family income does not cross Rs. 4.5 lakhs mark. Tuition Assistance Scheme – Gujarat government will also offer money to bright students to meet their tuition needs. It has been announced that all such students that belong to general category and have passed 10th standard, and is pursuing education in science stream in 11th and 12th will receive Rs. 15,000 each month. Only those students will be able to apply who have attained 70% or more in the final examination of class 10. Monthly Assistance Scheme for Hostel Students – Students belonging to reserved categories get financial assistance from state and central government for staying in hostels. But there was nothing for general category students. Gujarat government is all set to offer monthly financial aid of Rs. 1200 to all general category students, who stay in private hostels. But the annual income of the applicant’s parents must not be more than Rs. 3 lakhs. This amount will be offered to these candidates for ten consecutive months. Coaching Aid for 12th Candidates – Schools students, desirous to enter the engineering or medical profession, have to sit for JEE or NEET examinations. Gujarat government has announced a new scheme that will offer poor general category students of class 12 with coaching assistance. Each applicant will receive Rs. 20,000 during an academic year to pay for these examination preparations. Tutoring Aid for Graduation Candidates – Most graduate students try their luck in the government job sector. But a lot of preparation is necessary for succeeding at these competitive examinations. Poor general category students, after passing their graduation will attain Rs. 20,000 from state government, if they want to take admission in a competitive examination coaching center. Advocate & Doctor Loans – Advocates and medical practitioners require money to establish an office from where they can practice. All financially weak general category applicants will acquire a credit of Rs. 10 lakhs. This credit can be used to construct a clinic or office. Self-Employment Scheme – All eligible applicants of this state who desire to earn their livelihood, not by depending on any job, but by starting a business venture, will be offered financial assistance from the state authority. Each youngster, with a definite business plan will acquire Rs. 10 lakh as credit. The state authority will charge interest at only 5%. In case the applicant is female, she will have to pay interest at 4.5% only.